Custom made round and flat braided shunts. 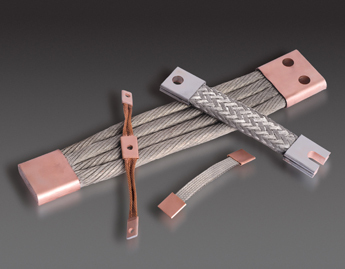 All shunts are available in tin, bare, insulated, or non-insulated wire. A variety of standard and non-standard forms manufactured. All shunts are made to meet your exact requirements and deliver the maximum amount of electrical current. Please CLICK HERE for the RFQ form for these parts. Please call us at 800-310-5999 or email us for pricing, availability or questions you need answered!